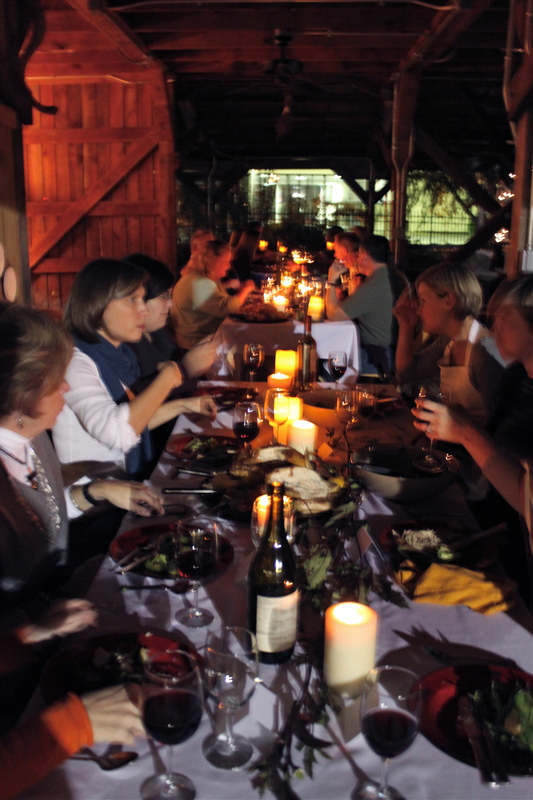 There is nothing better than family style dinners in the Fall. Coats and scarves, crowded tables with big platters and full bottles of red wine, elbow to elbow with brisk breezes and boots. These are photos of some memorable Fall dinners I’ve had this year – Community Table fundraiser for Triad Local First at Summerfield Farms, catered by Iron Hen and Southern Roots; Smoking pork and cooking for friends with Stephanie and Margaret at the Ashton’s house in Julian, NC; and my Off Mendenhall Cooking Class Dinner under the barn at the Greensboro Children’s Museum Edible Schoolyard. Whether you have hundreds at your table or just a few – make sure to host one this year before winter hits. 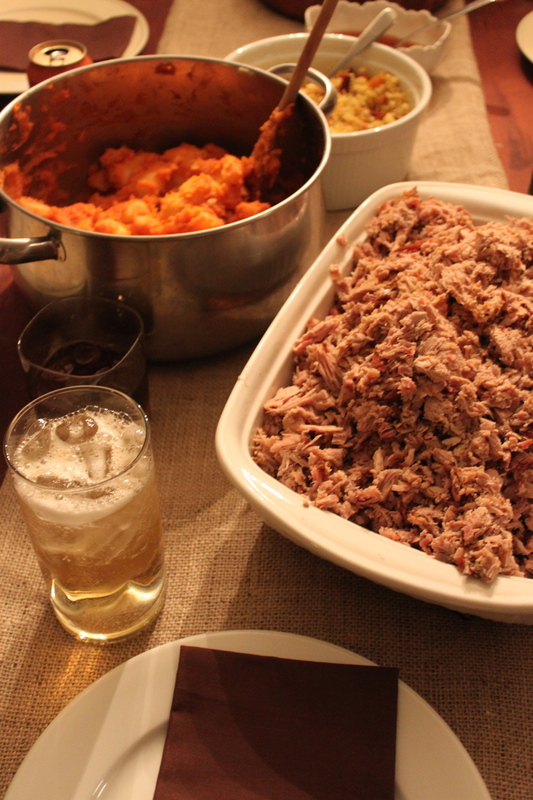 What were your favorite Fall family style dinners? Love this! You do such a great job….. I am having one this Friday night. We will have a roaring fire in the outdoor fireplace and we are cooking Texas Brisket. Hope my table will look as good as yours!!! Thanks for the Triad Local Community Table plug! 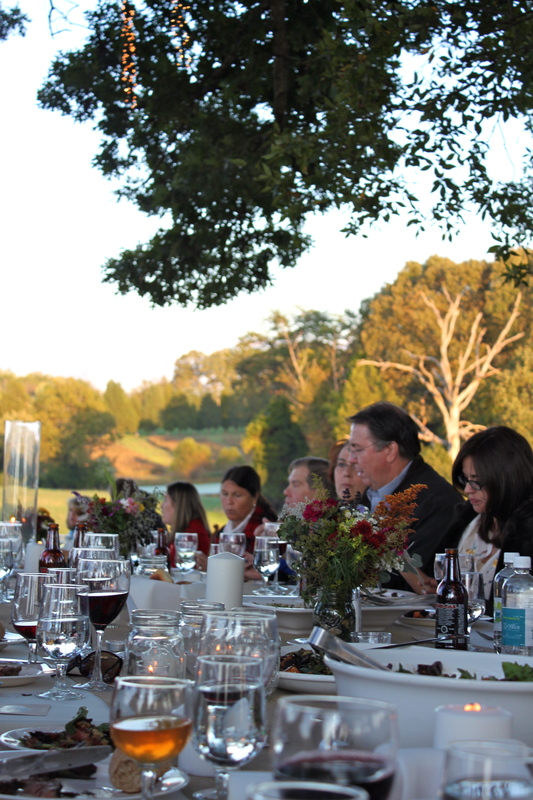 We can’t wait until next Octobers dinner.